Walkers CML Properties, a subsidiary of MTD Walkers, announced that its affordable housing project Richmond Hill Residencies is sold out. Richmond Hill Residencies is Walkers CML Properties’ first affordable housing project, in Galle, and is done in partnership with the Ministry of Public Administration and Management and the Board of Investment of Sri Lanka. It comes under the Nila Sevana public servants housing project, which aims to construct 25,000 affordable housing units across the island. 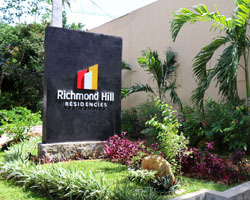 Richmond Hill Residencies offered public sector employees preferred pricing starting as low as Rs. 3.2 million, while also catering to the private sector.